The VISIONS-2 team got an early gift this year. 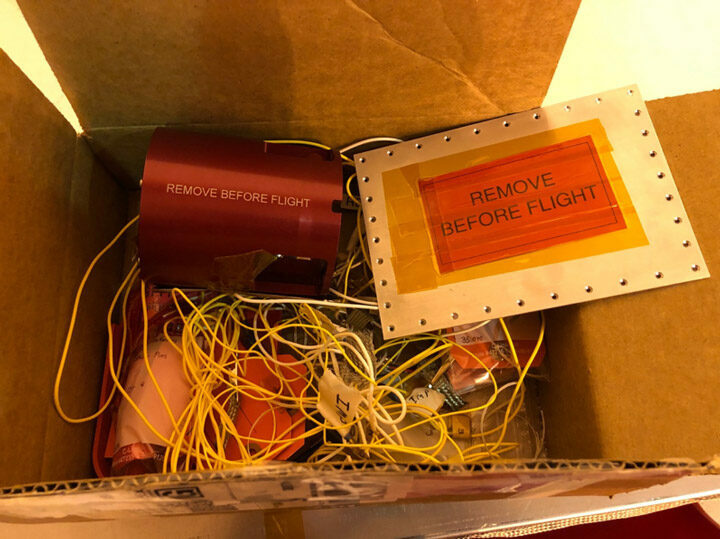 Like an overstuffed stocking, our cardboard box for “red tag” items (items that protect the payload during testing, but which must be removed for proper operation during flight) is full to the brim. This means that at last, our testing is complete, and we can proceed to the launch window. 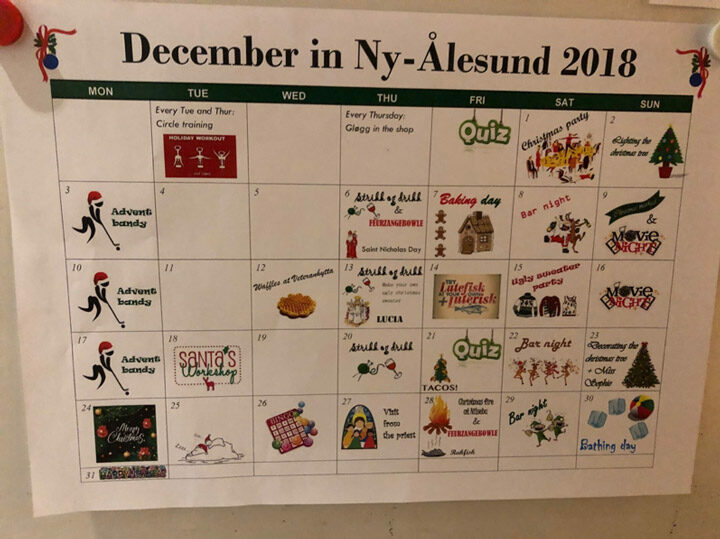 The Kings Bay Christmas party was a wonderful way to celebrate this milestone, and to get into the holiday spirit, with a huge gathering of everyone in Ny-Ålesund, including former employees, friends, and Kings Bay staff who flew up from the mainland. Kings Bay even flew in some catering staff so that the Kings Bay cooks could enjoy the party as well. It was quite the event. 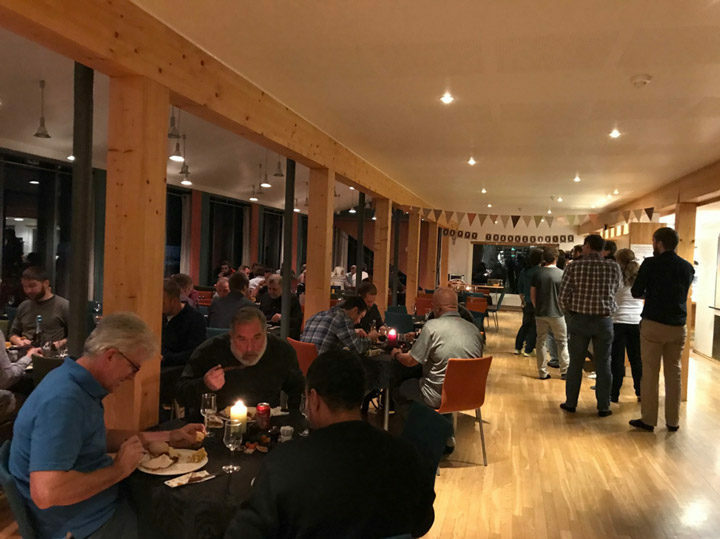 Everyone dressed up, and there was food and drinks and dancing, including a unique “Ny-Ålesund IPA” brewed specially for the town by Svalbard Bryggeri. We were also treated to a great auroral display that night, which whetted our appetites for the launch window. 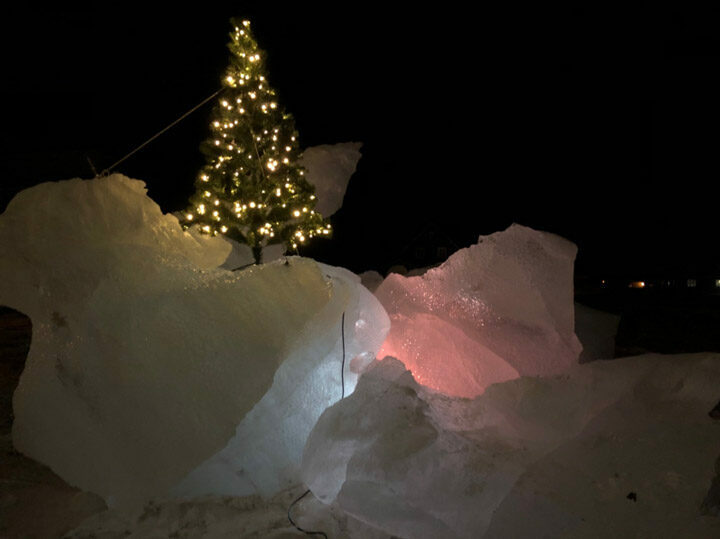 Left: The northernmost menorah lighting, in Ny-Ålesund, on the first day of Hanukkah, 2018. This menorah was built by payload team member Mark Frese, out of the materials he had available, to help his friend and colleague Koby Kraft celebrate. 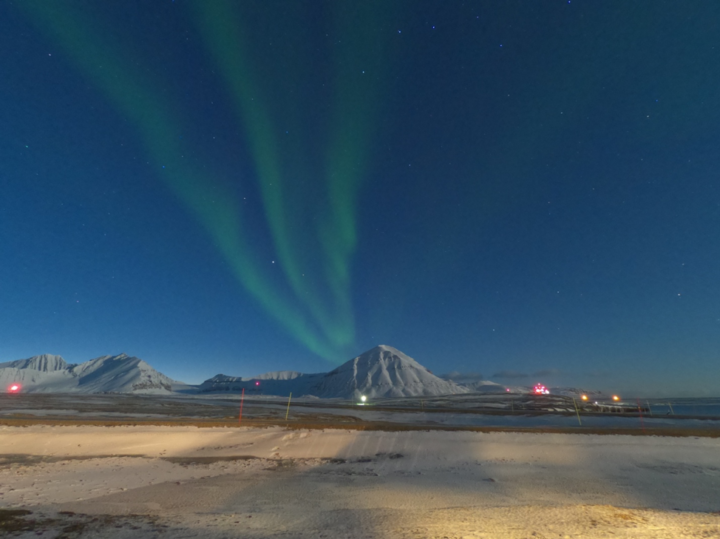 Right:The second northernmost menorah lightning, in Longyearbyen, by members of the science team who were preparing to embark for Ny-Ålesund the next day. From left to right: Rob Pfaff, Jeff Klenzing, Sophie Zaccarine. Credits: Koby Kraft (left); Ruth Lieberman (right). After the party, a day off, and then we performed a dress rehearsal on Monday, which went very smoothly. We are now entering the launch window, which runs from 8 AM to just after noon local, from Dec 4-19. 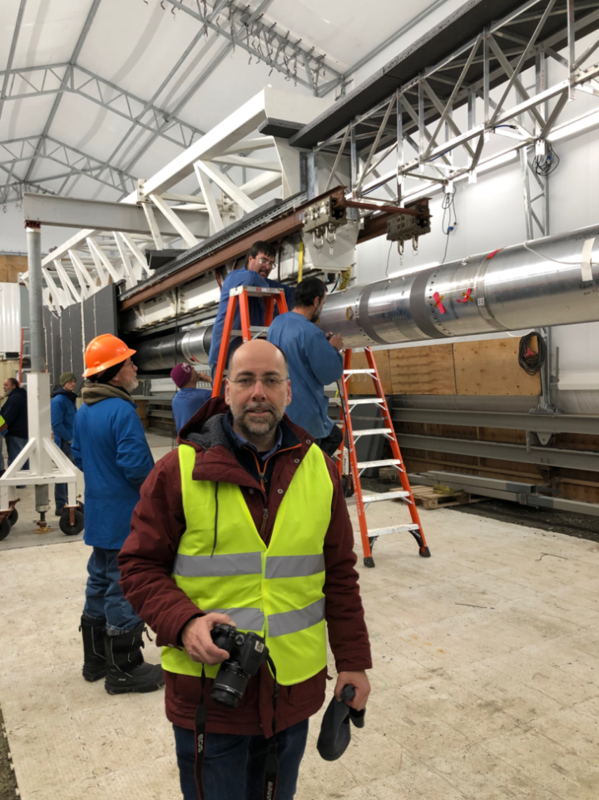 Each day we will elevate the rocket launchers, perform tests to make sure everything is ready technically, and then wait for the cusp and its crimson aurora to move to intercept our trajectory. 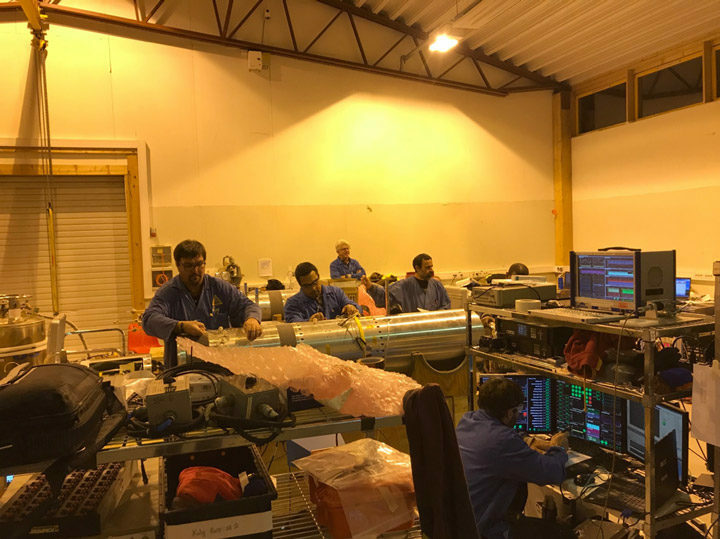 To start at 8 AM, we have to be “on station” at 3 AM, to provide time for checking out all the rocket systems and preparing for a possible launch. While we wait, we are experiencing the vibrant social life of the community of Ny-Ålesund. 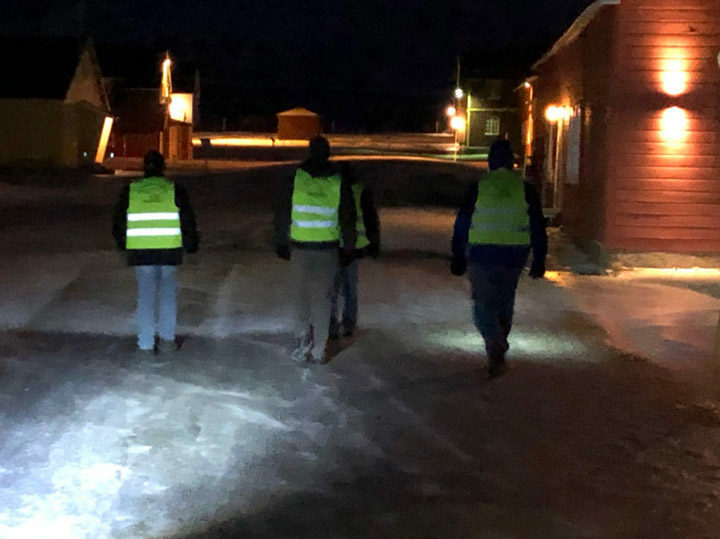 Between the Kings Bay staff, the Norwegian Polar Institute researchers, and researchers from many other countries, there is always something going on, from group dog walking (with rifles, just in case), to lectures on science or history, to “quiz night”. On other nights we have enjoyed nighttime photography excursions, to capture the aurora, often from outside the city limits (with a Norwegian guide and rifle, just in case), dog sledding around the town, movie night in the brand new “Kongsfjordhallen” (concert hall), hockey in the gym, or just a quiet night of billiards or foosball. The community, though small and tight-knit, is extremely welcoming and inclusive, and we have been embraced at every turn. 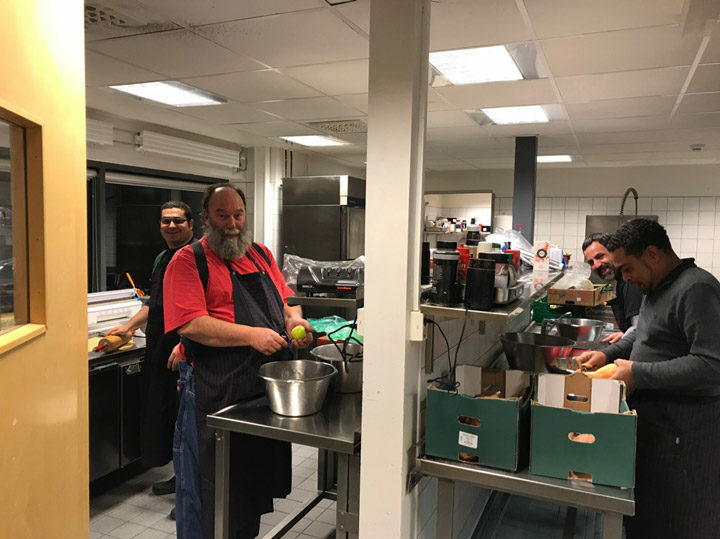 Sometimes it is tough to enjoy these activities and still be awake for the 3 AM “station call” but it is worth it – we have enjoyed so much hospitality here and it makes the long polar night infinitely more welcoming. One of the most pleasant social activities (apart from karaoke night) is the weekly tradition of strikk øg drikk. This is the weekly gathering for “knitting and drinking”, where people bring their yarn and patterns and their drinks and snacks, to gather in the cozy couches of the Polar Hotel. Sometimes there is more knitting, other times, more drinking, but it is a good way to connect with everyone. There is even a group project to knit a “cozy” for the metal flagpole. It’s about halfway complete (only needs another 8 or 9 meters). 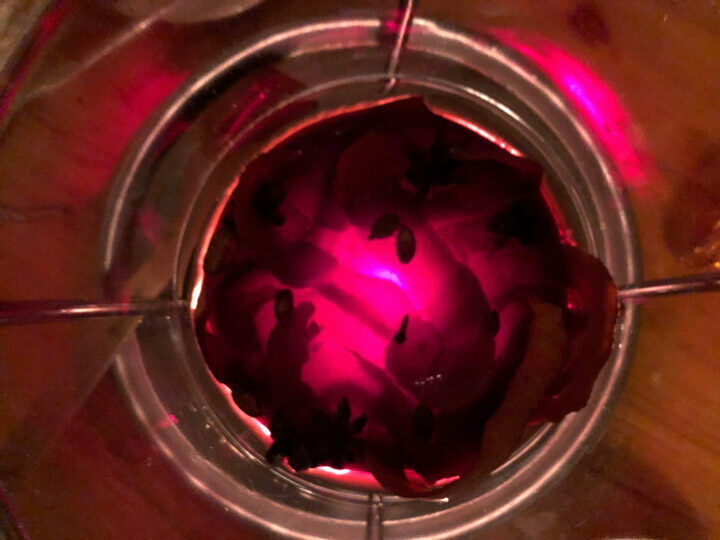 As a special holiday treat, we enjoyed a taste of “Feuerzangenbowle”. With the lights down, and Christmas music playing, it felt like being transported to a quieter, slower time, the darkness lit only by the flames from the rum as it melted the sugar cone, and the room filled with the scent of the hot spiced wine. Refreshed and re-energized by the welcome of our Ny-Ålesund colleagues, we are ready to launch. The air in Ny-Ålesund is thick with memory. There are no trees here, marking the years with their rings, only the endlessly accreted layers of ice in the glaciers. Most of the long history of Ny-Ålesund is written only in the rocks and the snow, an enigma that only slowly yields to the Rosetta stones of ice cores, rock drills, and mass spectrometers. But this is also a human place. In the last hundred years many have visited, many have lived, and some remain, in their final rest. Photographs hang near the foosball table, showing residents from a different time, resplendent in formal attire as they dine at tables set out on the snow, celebrating the return of the Sun. The styles change, but there is one constant — the spirit of adventure, of an impulse to explore; to live at the edge of the world and to go beyond. The same spirit that moves us and brings us here for our mission. 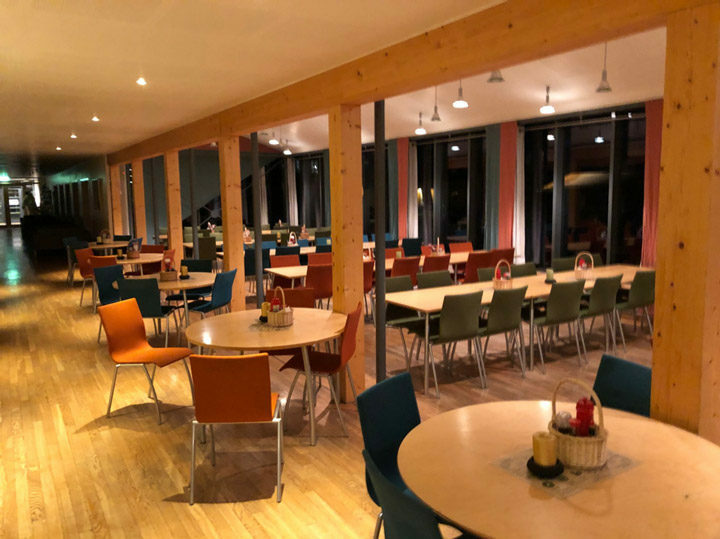 The Ny-Ålesund museum celebrates the lives of the coal miners and their families who first made this place their home one hundred years ago. They came for the rich coal seams lining the Kongsfjord — rich but dangerous. The nearly vertical seams tend to trap deadly methane gas, and many miners were lost in a series of explosions and accidents. Their spirits live on here — they and their families made this place. They carved it out of the tundra and rock, built the harbor and the houses and the airport. Without them there would be no town here, no research, and no rockets. We fly in honor of them and their courage, to make a living in this place, far from home. 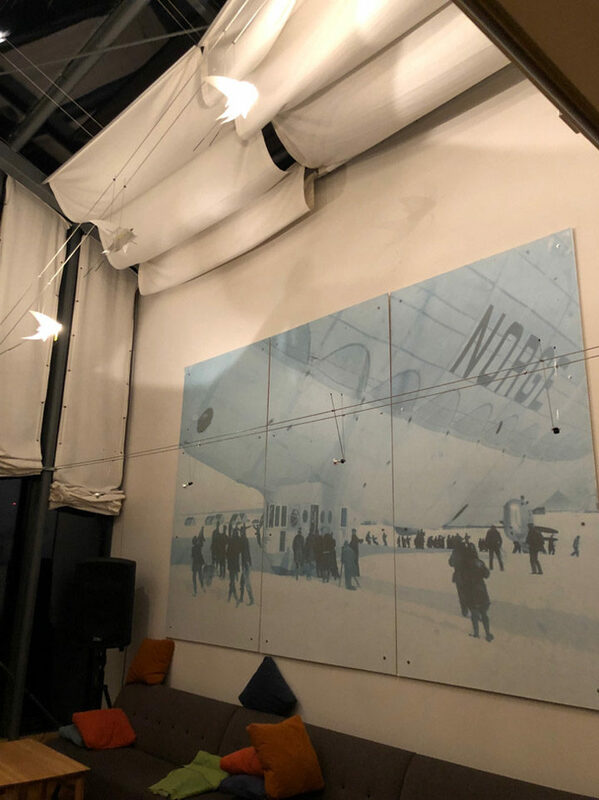 The polar explorers of the early 20th century recognized the value of Ny-Ålesund as a base, for the same reasons we come here — the safe harbor, the mild climate, and the solid land, last before the sea ice over the Pole. Umberto Nobile and Roald Amundsen and their crews took flight from Ny-Ålesund in May 1926, in the airship Norge. 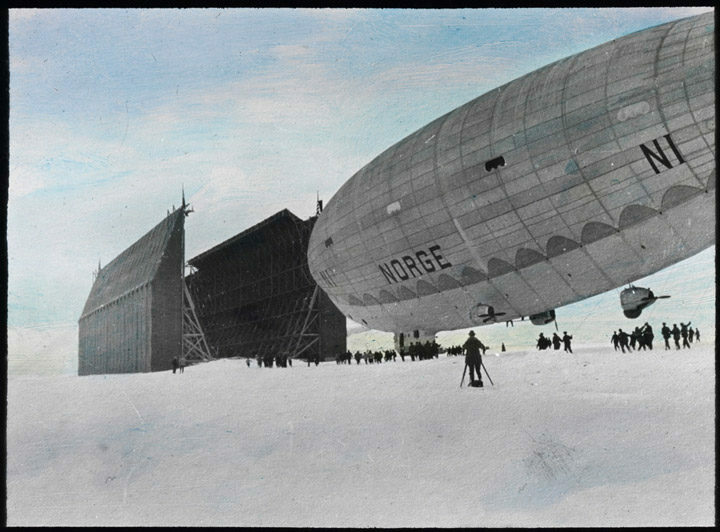 This zeppelin was the first vessel of any kind to reach the North Pole, and is celebrated here with many photographs. It is memorialized in the name of the Zeppelinobservatoriet, the high-altitude atmospheric monitoring station on Zeppelinfjellet, the mountain that rises 556 meters above town. While the Norgewas successful, the sister ship Italia, captained by Nobile in 1928 met a tragic end. 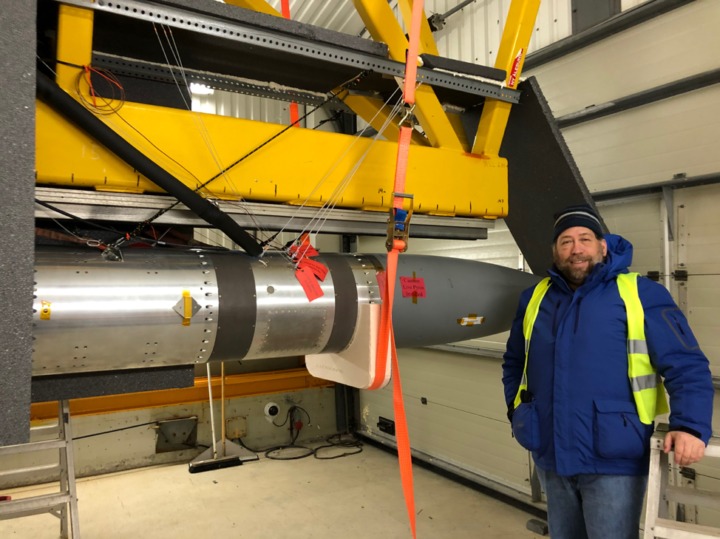 On its return from the pole, it crashed into the ice north of Svalbard. Though many were rescued, 17 crew and rescuers died in the attempt, including Amundsen, whose plane crashed at sea as he flew to help. We fly to celebrate these airmen, and their thirst for knowledge and exploration. The researchers and Kings Bay staff who come here to work and live, some for months, and some for years, keep this town and all its facilities running. 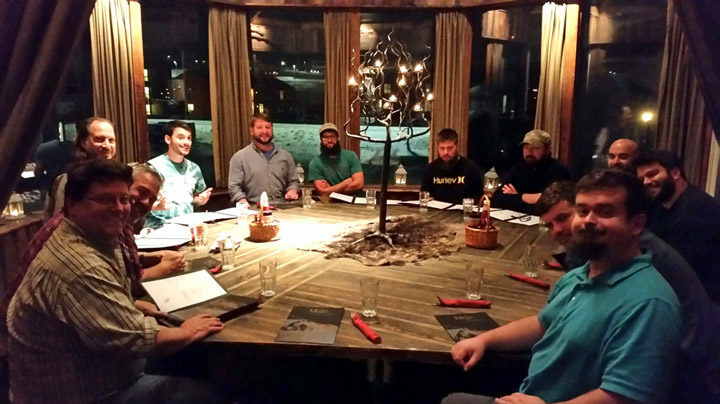 They work long hours each day and pour their hearts and spirits into Ny-Ålesund to make it a warm place. A place of community and curiosity. 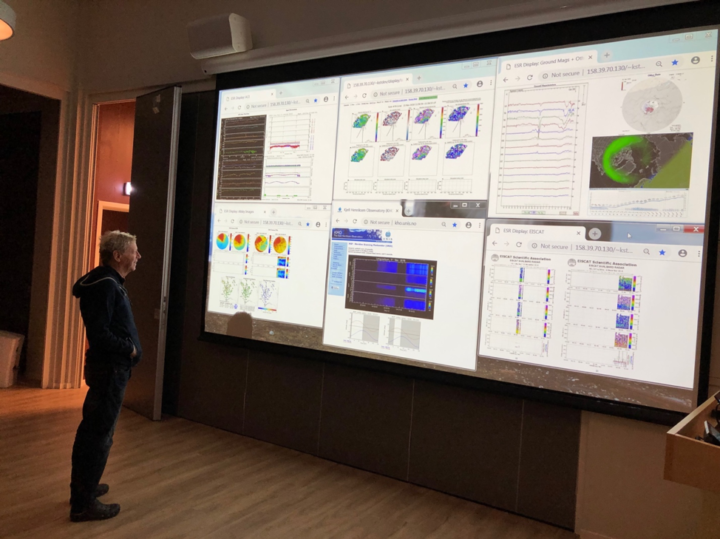 A place where you are just as likely to spend Friday night at a scientific lecture or watching a chess match as at a karaoke party or playing “bandy” which is like indoor hockey. Many of them go months or longer without seeing family, and have only the occasional trip home to break the long months of winter night. Nonetheless, they are professional, cheerful, and inclusive, making us feel welcome and at home. 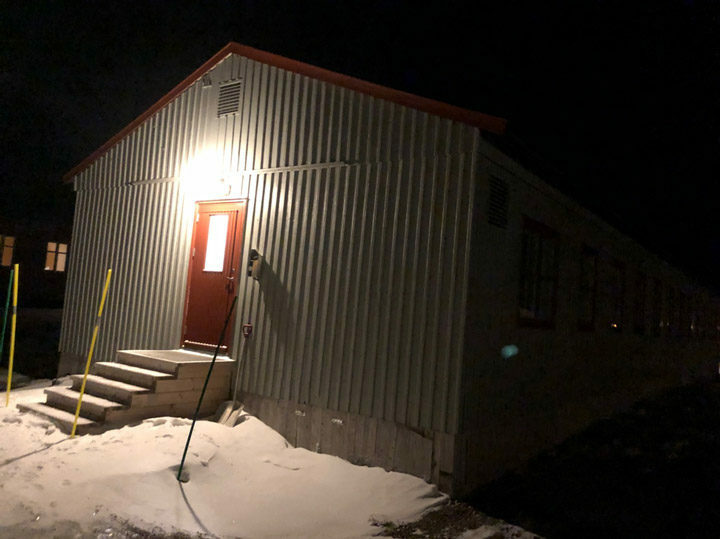 They worked to build the second launch pad that we need for our mission, laboring to bring the concrete and the rebar and the tools that could only be used for a brief warm period in the summer when the permafrost had thawed sufficiently. They worked to give us a beautiful Thanksgiving meal which was a welcome taste of home. They work every day to keep us warm, well fed, and safe, and to support our mission. 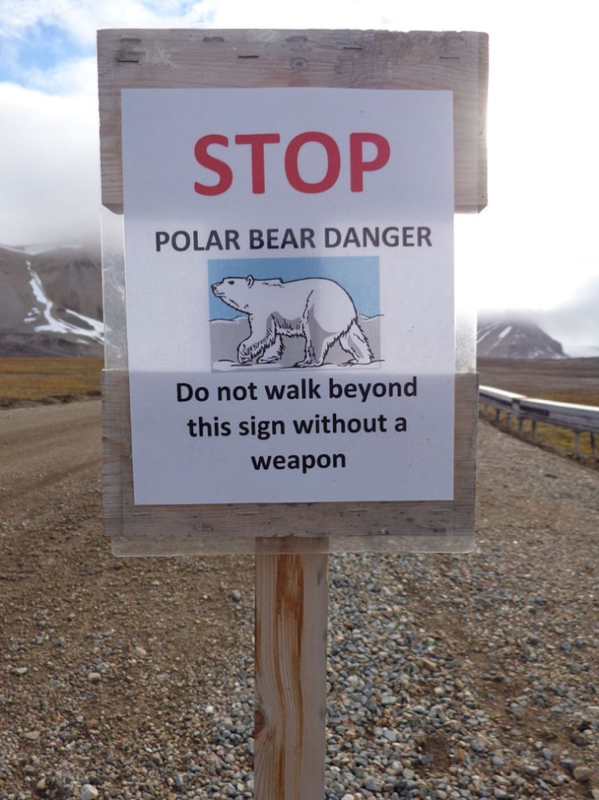 The watchman, who patrols for polar bears, the electrician, who keeps the power plant and heat running, the technical manager and the reception staff who keep the hotel, dorms, and logistics running smoothly. The kitchen staff who work seven days a week to provide for us. All are here because they choose it — no one these days is born in Ny-Ålesund. We are all visitors here. But these long-term residents make the rest of us short-timers feel like we belong. We fly in thankfulness for their support and their welcome. 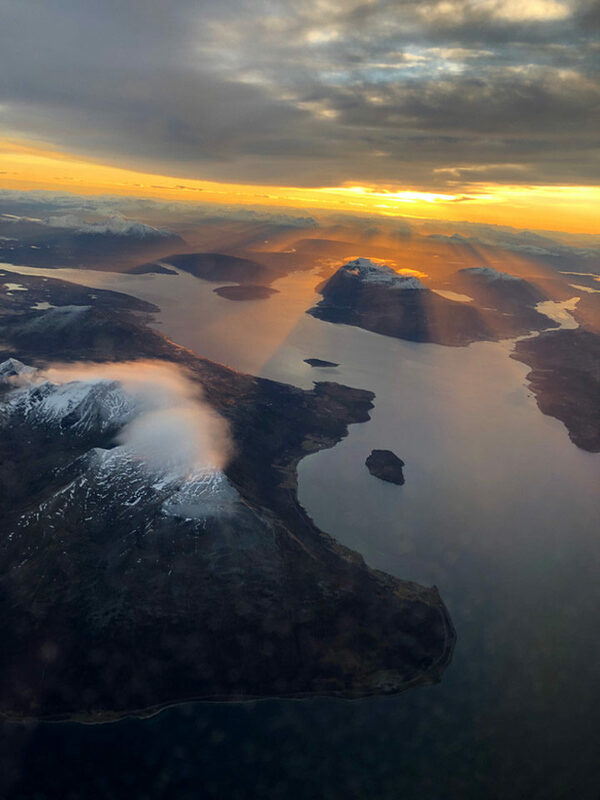 Our team shares the spirit of the men and women who have called Ny-Ålesund their home before us. We come from all over, to this place, in the spirit of adventure. We are far from home, too, and we are living at the extremes to accomplish our goals. 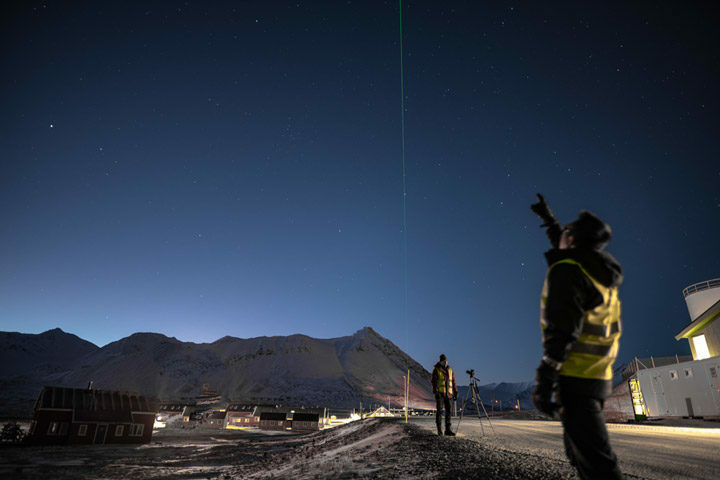 We come from NASA, from Andøya, from Oslo, from Bergen, from Longyearbyen, from Canada, from our university and industry partners. 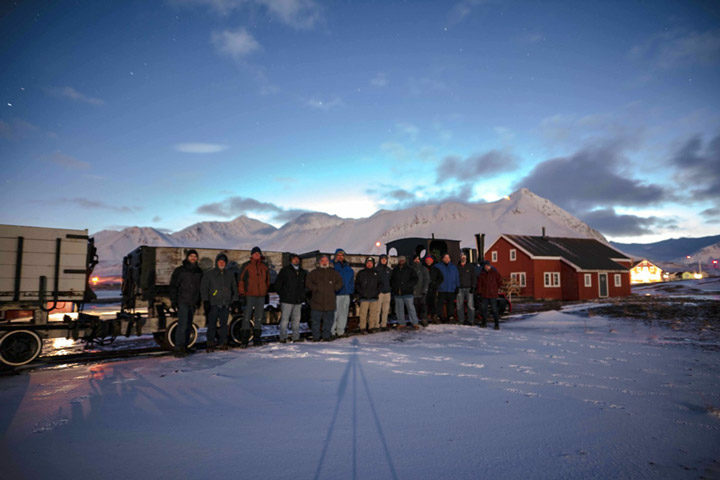 We bring that same sense of community and drive to achieve that those before us have brought since the first NASA sounding rockets were launched here in 1997, and back to Ny-Ålesund’s founding in 1917. We fly to honor the sacrifices that we each have made, and the dedication we all feel to each other, in our three-year journey from project inception to field campaign. But there are those who could not be with us for this journey. Even in the midst of our joy, we have lost loved ones. Kelly Pham Nguyen, Alvaro Uribe, John Rowland, and Bernita Justis. We fly in their memory, as their spirits lift us high. Two hundred people; two centuries, in the Roman style. That’s what it takes to launch two rockets from the top of the world. One hundred here and another hundred back home to help with the designing and the building and the testing and the shipping and to take each of the thousand steps between an idea and the reality. We are sixty-one team members in the field, Norwegians, Canadians, and Americans, technicians, engineers, and scientists. Payload team, instrument team, motor team, launcher team. Telemetry and tracking team, range team, safety team. All working together at the end of the Earth, far from home. Then there are the Kings Bay staff. 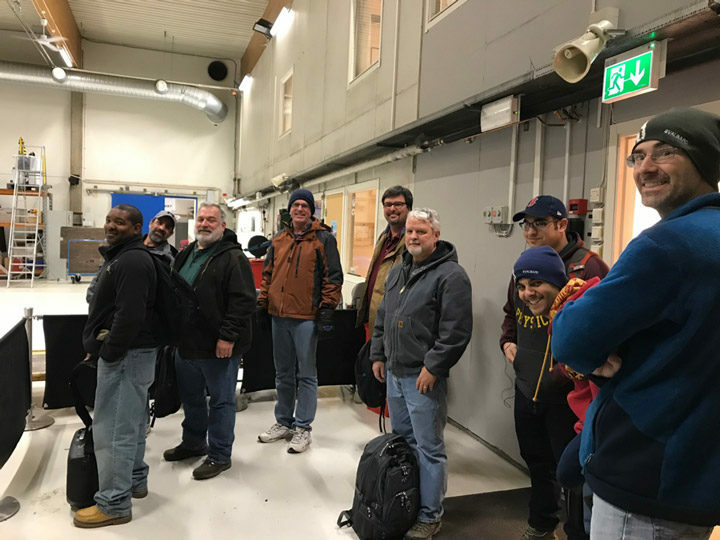 Pilot, purchaser, plumber, chef, cooks, and carpenter, harbormaster, mechanic, electrician, and the rest of the twenty-three souls that live here in Ny-Ålesund, keeping this community running through the long polar night. Rounding out our first century are the other workers and researchers at the Polar Institute, here in scientific communion. In our second century are the team members we left at home. The machinists who turn solid aluminum into sleek and elegant instruments, each unique, purpose-built. The designers and technicians who imagined and then built each of the myriads of circuits and pulled the miles of electrical wiring. The administrative staff who make sure the bills get paid, the travel arrangements run smoothly, and emergencies are handled quickly and efficiently. For three years this team has worked so that the field team could spend weeks in the high Arctic, preparing our rockets and experiments. 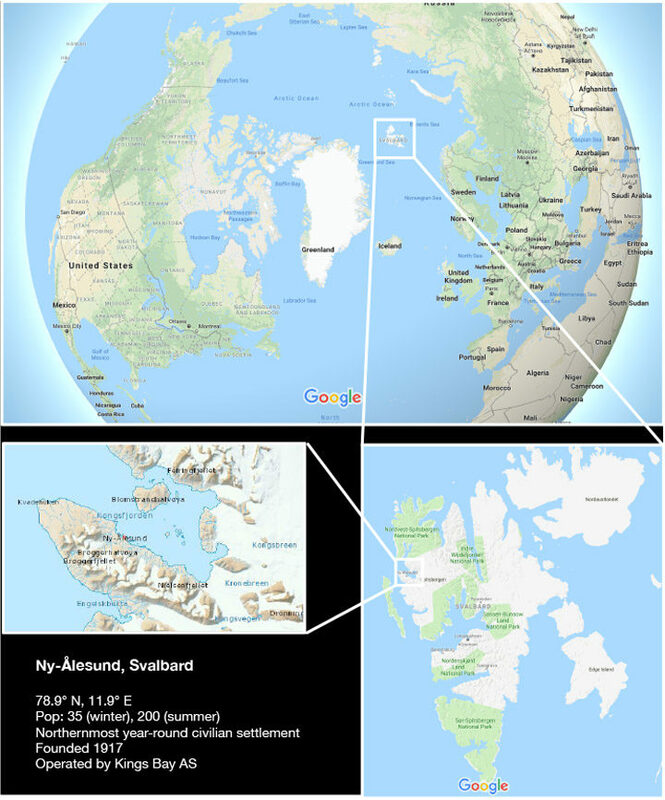 We have journeyed to Ny-Ålesund, Svalbard, the northernmost town in the world, so that we can touch the sky. Ny Ålesund is the northernmost year-round civilian settlement in the world. On the shores of the Kongsfjord (King’s Bay), it benefits from the warm waters of the Gulf Stream, which provides an ice-free harbor year-round. Once an important home of coal mining, it has changed focus to scientific research. At 78.9° N, the town is only 1237 km from the North Pole, and over 5700 km from Washington, DC. We are here because the harbor, even at 79° N, is open year-round. 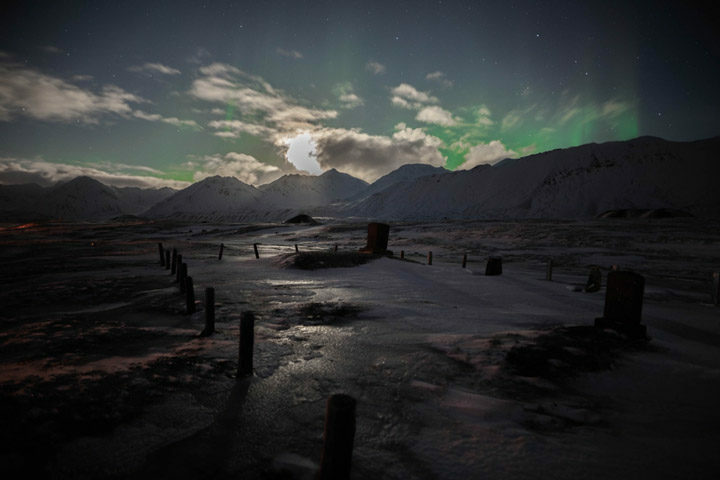 We are here because during the months of winter night, there is no Sun to share the sky with the shining aurora. We are here because there is a modern rocket launch facility on the shores of Kongsfjorden, once a home of fishermen and coal miners. Now our aim is a different kind of extraction – prying the mysteries of our upper atmosphere from the cold blackness. We are here because this is the one inhabited place on Earth that, every morning, passes directly underneath a weak point in our world’s magnetic bubble, a funnel that channels the fierce solar wind into our upper atmosphere, sparking auroral displays, and boiling the gases of our atmosphere off into the vacuum of space. We are here to learn how this happens, and to take a picture. 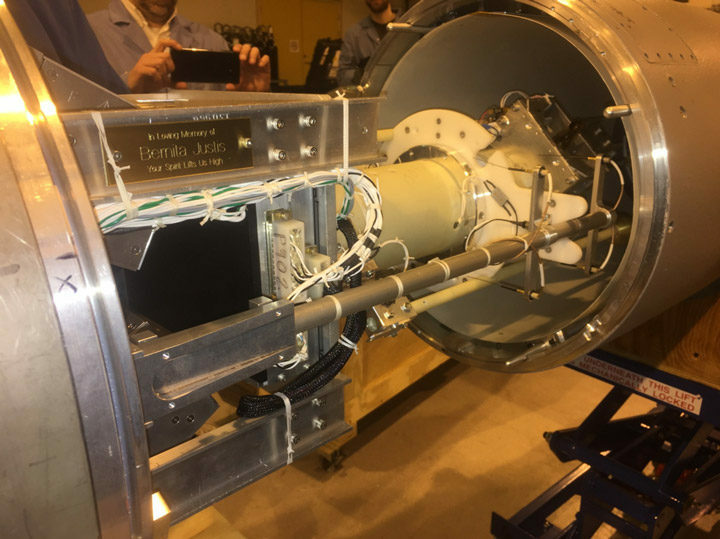 Our mission, VISualizing Ion Outflow via Neutral atom Sensing (VISIONS-2), will launch from Ny-Ålesund, Svalbard, between December 4 – 18, 2018. 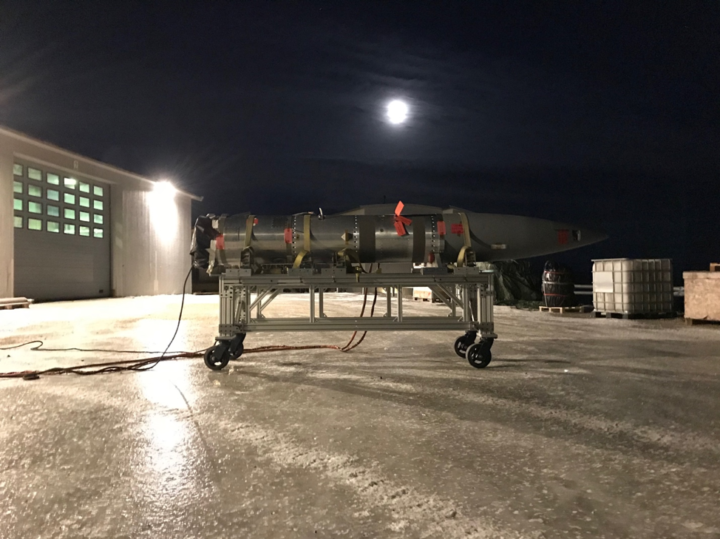 VISIONS-2 is part of the Grand Challenge Initiative — Cusp, a dedicated sequence of 12 rockets launching over 2 years to study the interaction between the magnetic cusp and the upper atmosphere. 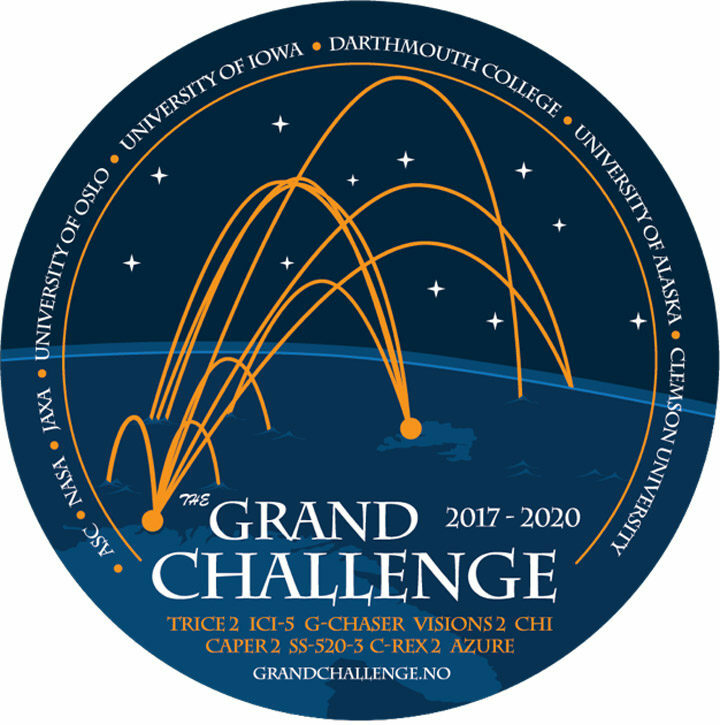 The Grand Challenge is a multinational cooperative agreement between the US, Norway, and Japan that provides for open data sharing and scientific collaboration. The three nations are leveraging existing infrastructure to optimize scientific return from missions launched by all three countries. Like the old daguerreotypes, this picture will be primitive. It will be grainy. It will be such a long exposure as to blur the impatient atoms as they champ and strain under Earth’s gravity. But this picture will reveal, in false-color chiaroscuro, the locations and strength of fountains of gas that shoot high out of the atmosphere, driven by the intense electric currents that course through the aurora. Unlike the daguerreotypes, our picture does not register light striking a silvered plate. Our picture is built up by a glass plate that detects the impacts of very fast atoms, racing past their neighbors like a Formula 1 car overtaking a marathon runner. These atoms undergo their own marathon journey, traveling tens or hundreds of miles from the fountains where they are born. But to see them, we must go to space. This because our planet’s thick atmosphere absorbs any atoms which travel down towards us on the ground, blanketing us in ignorance and shrouding these fountains in mystery. Only a camera lofted above, to altitudes above this shroud, can reveal these atmospheric fountains and their link to the ghostly aurora. So, we come to this place, the only one on Earth like it, bringing rockets to lift our cameras high. We come here in the long winter night, our way lit by the aurora’s iridescence, and our hearts warmed by the welcome of our Norwegian friends and colleagues. We come here in the spirit of international cooperation and scientific endeavor to learn about our world, and perhaps, about ourselves.